Photographs are more present than ever before. While it is certain that they will to continue to infiltrate our everyday experiences in ways previously unimaginable, it is perhaps both their ubiquity and unpredictability that has scattered the development of “photography theory” across the various academic fields and discourses it serves up images to illustrate. The recent arrival of two journals specifically dedicated to fostering the evolution of the theory/ies of photography marks a significant shift in the critical condition of the medium. 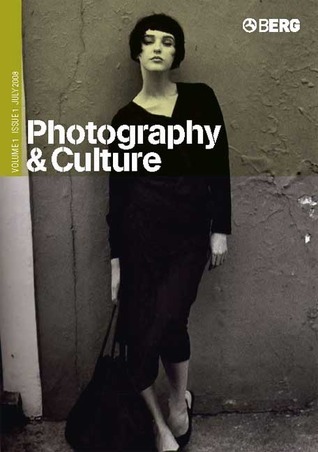 In looking at the launch issues of Photographies and Photography and Culture it is both interesting and relevant to not only reflect upon what is presented in the publications, but to also consider the ambitions that the editors have for the development of their journals. Daniel Rubinstein and Katrina Sluis’ “A Life More Photographic, Mapping the Networked Image”, Nina Lager Vestberg’s “Archival Value: On Photography, Materiality and Indexicality”, and Andre Gunthert’s “Digital Imaging Goes to War: The Abu Ghraib Photographs” are three particularly notable papers featured in the journal. Rubinstein and Sluis reflect upon the implications of digital imaging technology redefining snapshot photography from a physical, print-based album experience to one that is virtual, internet-based, networked and onscreen. Vestberg argues for a reconsideration of photography’s indexicality to incorporate the object-ness of the photograph alongside that of the depicted image, especially in light of the increasing vogue for the commodification of archival photographic documents through the art market and museum system, and the transformation of physical photographic archives into digital image databases. Gunthert examines the consequences of the dissemination of the Abu Ghraib torture photographs – amongst the very first digital images to be lionized – and the complexity of the veracity and value of the digital photographic document. 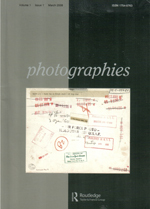 Not every issue of Photographies will be thematically collated, however of particular interest is an issue forthcoming in 2009 on Globalization and Photography which will feature a selection of contributions from the recent conference Global Photographs: Histories, Theories, Practice, held at the Institute of Art, Technology and Design in Dublin in 2007. Photographies will be published twice a year in March and September by Routledge. The masthead of Photography and Culture states that the aim of the journal is to “foster experiments and new investigations of photographs, in terms of their genre, the theory used in their analysis and the ways in which knowledge is disseminated… (to) emphasize the photograph as object as well as image.” Edited by Kathy Kubicki (University College for the Creative Arts at Farnham, UK), Alison Nordstrom (George Eastman House, USA) and Val Williams (University of the Arts, London, Photography and the Archive Research Centre, UK) the publication is divided in to five sections, presenting peer-reviewed articles, visual material from a photographic archive, exhibition reviews, book reviews and a list of ‘Books Received’. While the content of the launch issue is not thematically linked, the articles do appear to have been carefully selected to reflect a diverse sample of current thinking on contemporary practice and insightful re-appraisal of historical perspectives. In “Summer was Inside the Marble”: Marguerite Duras and Alain Resnais’s Hiroshima mon amour, Carol Mavor responds to the 1959 nouvelle vague film directed by Alain Resnais, Hiroshima, Mon Amour. Mavor creatively reinterprets images by photographers such as Henry Fox Talbot, Anna Atkins and Edward Weston, and the radiation ‘photographs’ cast on stone by the atomic explosion at Hiroshima in 1945. The article is an eloquent, Proustian exploration of the subjectivity of memory and personal experience – a highly commendable piece of writing on photography. Martha Langford’s discussion of the implications of the practices of contemporary artists who emulate the stylistics of vernacular photography or appropriate amateur photographs within the context of an art practice is also particularly notable. As is the extract from Ann Braybon’s research into “Photographic Networks in Britain: 1952-1969”, where she looks at the importance of the magazine Town under the art direction of Tom Wolsley, to a generation of young British photographers in the 1960’s including Don McCullin, David Bailey, Bill Brandt and Terence Donovon. Kathy Kubicki has said that the aim is for Photography and Culture to “be an arena for in depth analysis, long articles and discussions of issues in contemporary and historical photography and exhibitions (and) publications on an international level, with the application of cross disciplinary writing and subjects.” Alison Nordstrom affirmed “the journal will contribute significantly to the development of new and refined methodologies for thinking about photographs, as well as new knowledge about photographs we have previously failed to think hard about. The editors have also said that they hope to organize an international conference in 2009 and that the journal will be involved in seminars and research in progress events at the Photographers’ Gallery when it re-launches in its new space. Photography and Culture will be published three times a year in March, July and November by Berg.